Stem cells have a great potential to lead to the creation or growths of specific cells within an organism. Certain types of stem cells have used to regenerate blood and immune system, after a course of high-dose chemotherapy, some cancers as well as the use of these cells for other cell recoveries have been proven. The progress of medical science in the treatment of cancer patients and patient with various genetic diseases in recent years has been markedly improved. One of these treatments includes gene editing along with stem cells to treat some blood disorders, cancer, genetic and immune disorders. Recently, gene editing along with stem cell therapy shows a promising opportunity to combat genetic conditions of malignancies caused by a defect in the gene for beta-globin, a component of hemoglobin. 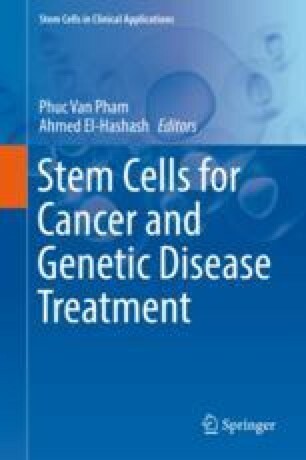 In this chapter, we attempt to optimize the design and delivery of new proposed single or combined stem cell therapies combating cancer and genetic disease. Besides, we attempt to discuss utilities of these techniques such as the correction of stem cells matured into red blood cells in the laboratory, which leads to increased levels of normal adult hemoglobin and decreased levels of the sickle form during a procedure using gene-editing tool to repair the defective beta-globin gene in blood stem cells from people with sickle cell disease.